Circuses and sideshows may not seem like obvious places to look for stories of female empowerment, but experts say the performers who appeared in such acts played a surprising and important role in women’s history–in large part thanks to their tattoos. Ink liberated Victorian-era women outside the circus as well. 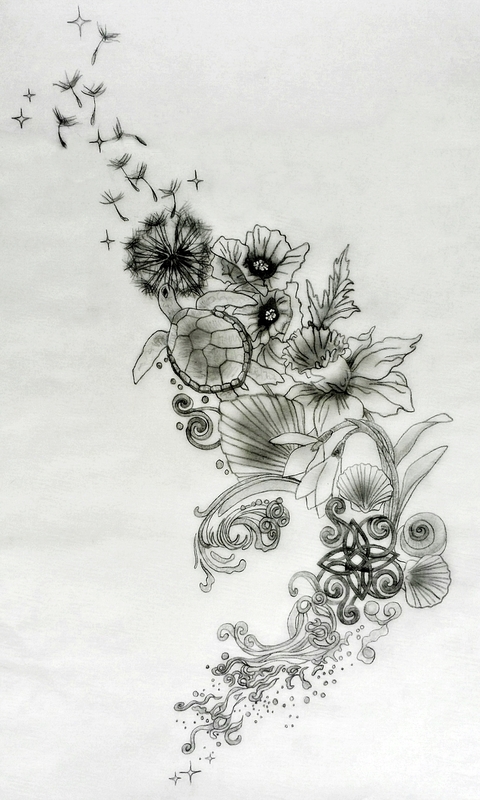 Wealthy socialites, for example, got tattoos as a form of rebellion. At the time, social mores required these women to keep their whole bodies covered. And so–influenced by tattooed British royals–they started summoning ink artists to their homes to give them designs they could hide. Winston Churchill’s mother Lady Randolph Churchill is said to have had a snake tattoo on her wrist (easily covered by a wineglass or sleeve); by the turn of the 20th century, roughly three-fourths of fashionable New York City ladies had gotten similarly trendy tattoos, including butterflies, flowers and dragons, according to the New York World. Beginning today, I’ll be sharing some of the sacred tattoo designs I’ve been working on since returning from my sabbatical in batches of 3 or 4 at a time, so you can see the new energy that’s channeling through with a new year upon us. I don’t have the time to share the in depth symbolism anymore for each design, but I do believe that everyone receives the message, reflection, and symbolism perfect for them when viewing these, regardless. The energy continues to be potent and the process for me continues to deepen and lengthen due to the amount of pre-work I invest in it that takes all of me to emerge in and “draw” forth. 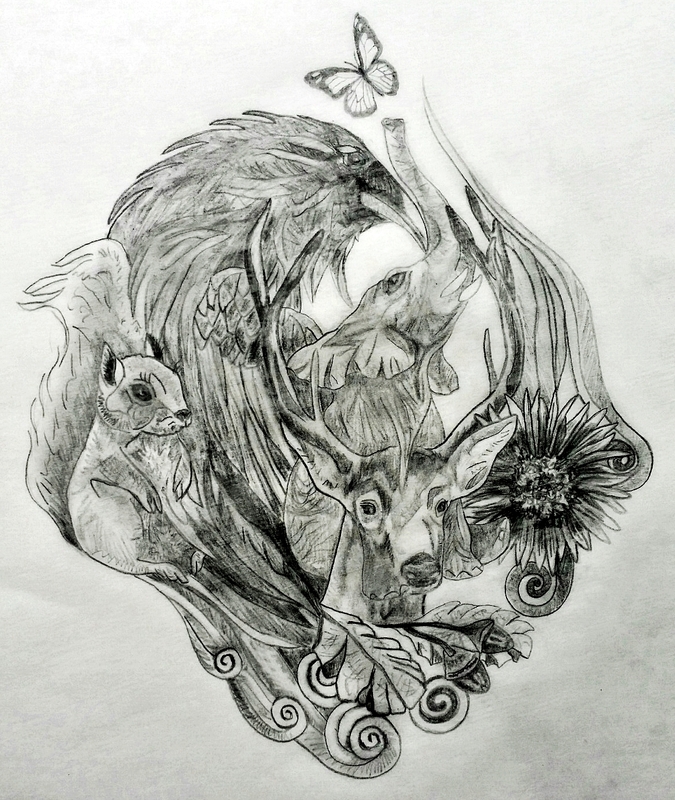 Sacred tattoo design created for entire left arm. 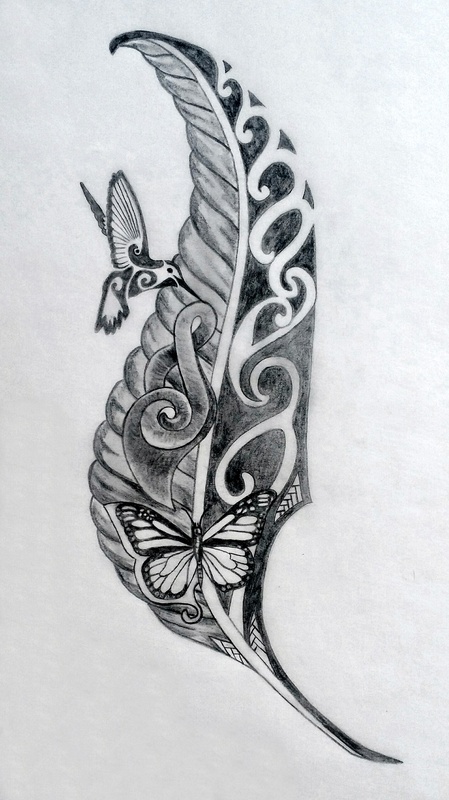 The bottom portion on the inner forearm, extending up to the whole upper arm. 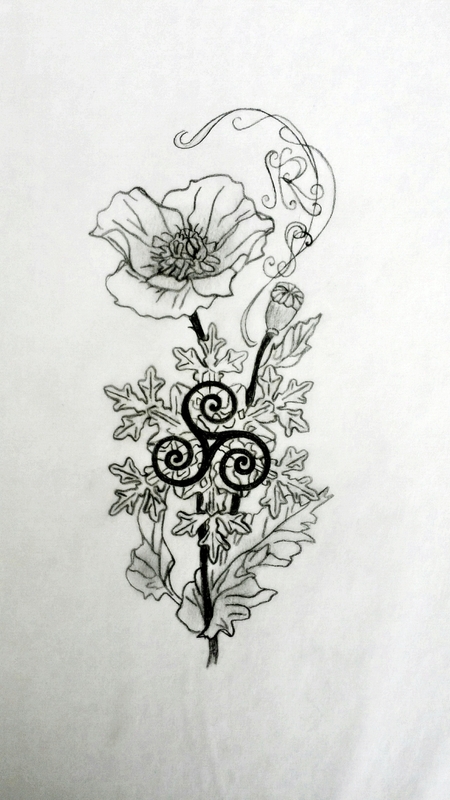 I only created the left half of the upper arm (the darker portion), as that part had to be integrated with a tattoo she already had there which included her Dutch heritage (coat of arms and tulips along with Dad’s name) and reverence for her father on the right and center (the lighter portion). 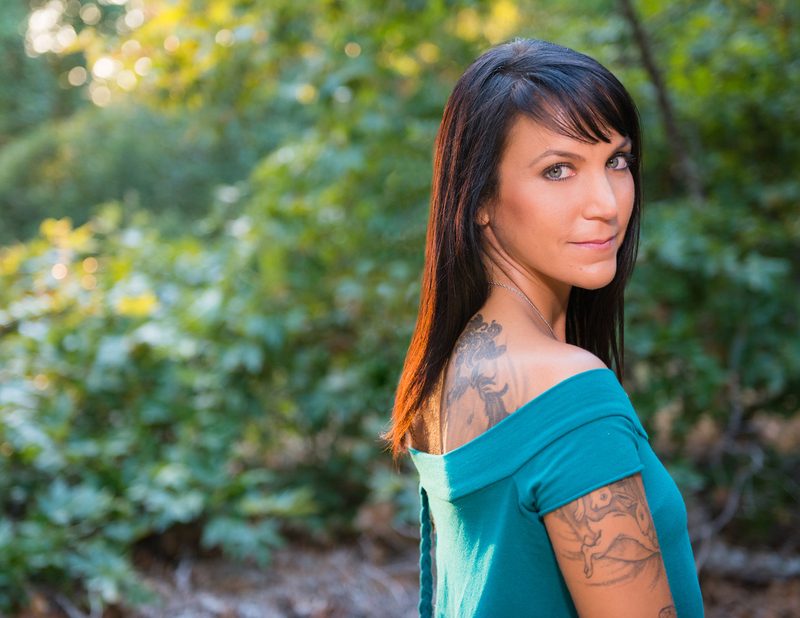 She wanted to integrate her new journey that has opened with Reiki and the expansive path ahead of service from being more in her essence, along with connections with family and love. And designs continue to align with energetic things on the collective or personal landscapes, which is always such a magickally synchronous unfolding. 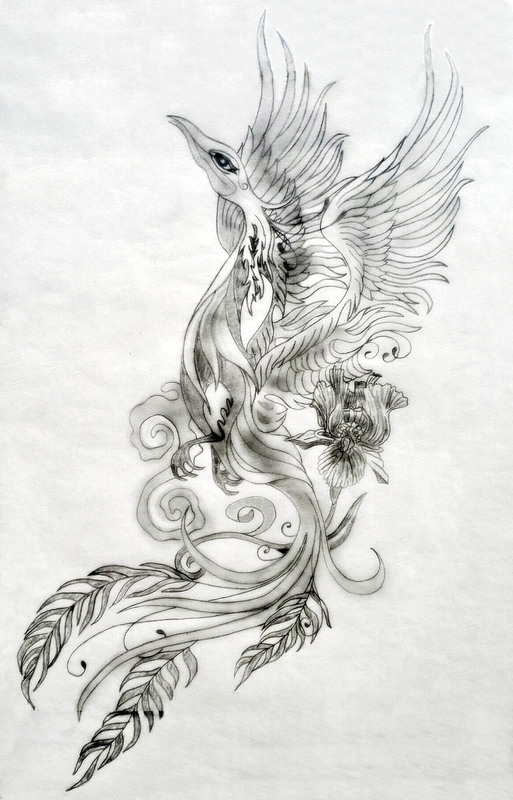 This is just the forearm piece of the above design, as I created it in two parts since this one opened the flow for the vision on the second upper arm piece that unfolded in clarity, as we journeyed deeper in dialogue after the creation of this one. The inspiration actually came to me in the shower. I am constantly working! So, it has taken me longer than it used to, to move through designs, not to mention, my life is much fuller with the increased balance I’m creating for personal and service. This is ultimately all tied together since my optimal condition reflects on the work I am able to do and provide for others. Because of the increased amount of work involved with these designs that begins the moment someone commissions me and continues as a thorough exploration through the extensive life journeys I read from each person where I then help people to bring to life the most optimally integrated symbolism for empowerment, I’ve been guided that my rate had to increase in reflection to my personal investment on all levels. 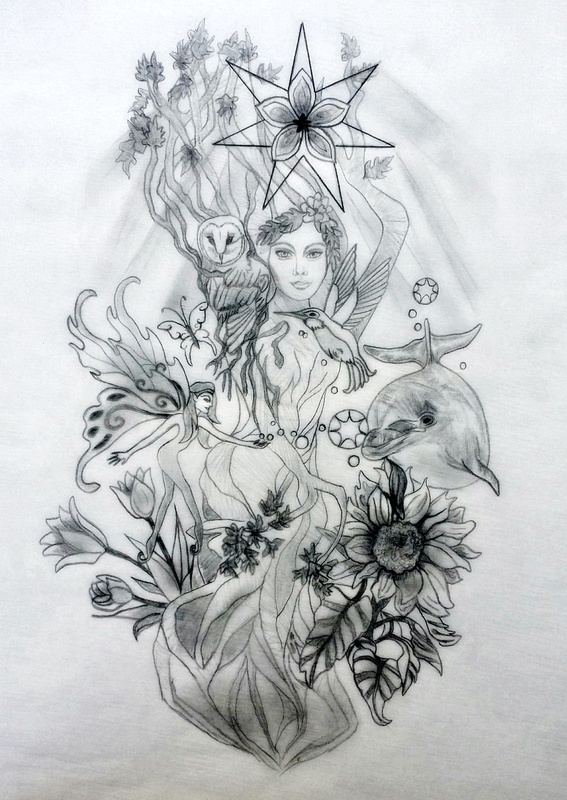 This sacred tattoo design is quite large and so deeply rich of her life’s journey, challenges, and transmutation of it all into the essence of who she is today and continues to become as a result of her growth. 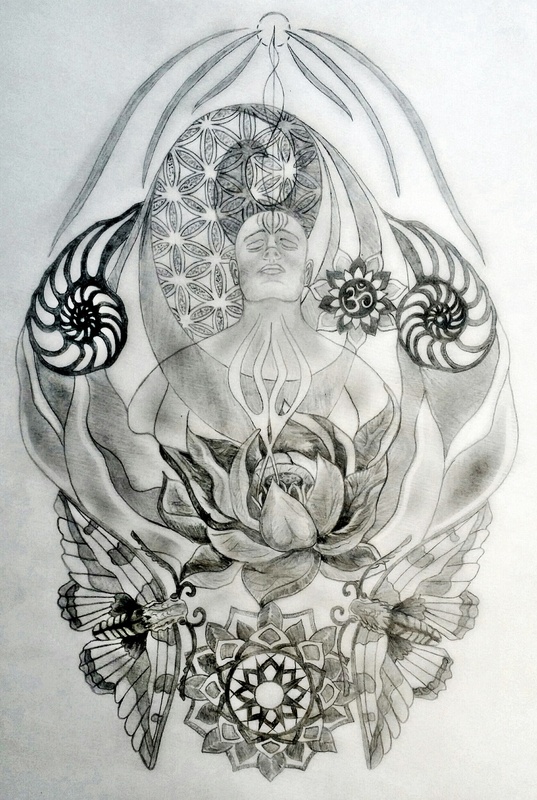 It fills the upper and mid back and extends through right shoulder blade and up on to top of shoulder to connect with an already there lotus my client has sitting on the front of the shoulder, and then it wraps and flows from around solar plexus area through waste and some of ribs. I’ve been sharing that this would happen come the first of the new year and it is now in effect. I understand this may affect some people’s ability to work with me, however I believe the people meant to will, and being that I can’t possibly take on all of the inquiries I receive on this, it helps me to be able to balance and focus my time on other areas of my work needing my attention now too. 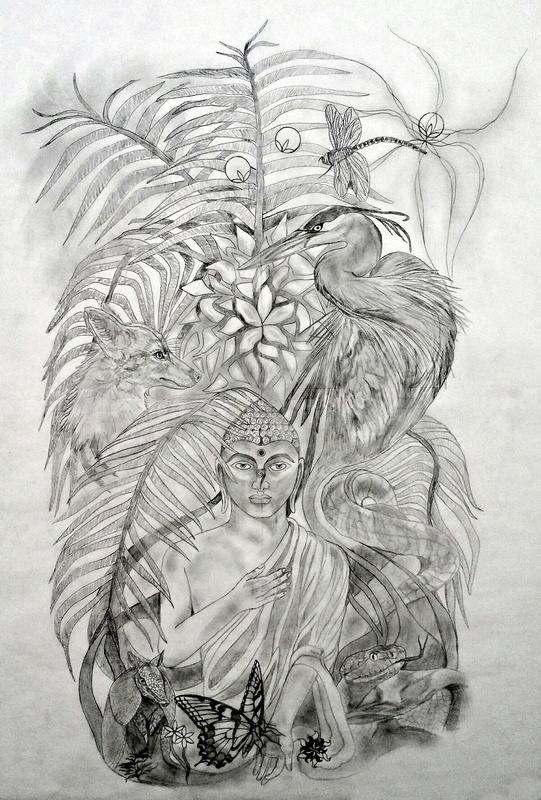 As I expressed in an earlier post, I will not be sharing any information about the recent sacred tattoo designs I’ve been working on over the last month or two because I haven’t the time to with everything going on and wanting to focus energy on the current pieces I AM working on. Today, I’m sharing a couple more really magickal ones and as always, I hope you enjoy what ever they reflect for you, as while the designs are custom created to each individual’s soul, that always carries a beautiful collective energy that others connect with and are affected by through viewing them. I’m continually amazed at what keeps channeling through and always so aligned with current collective energies abound, as I’m sure you can see in the designs. The first so reflective of a New Earth energy we are integrating, activating, nurturing, and healing. The second of course really synchronous with Lion energy being so prevalent these days with the passing of Cecil, our entering the Lion’s Gateway on 8-8-8 and yesterday’s Leo New Moon. So it’s pretty amazing that they are also reflective of the individuals they were created for. Dual-packed significance always! I will have one or two more shares by end of the month, as I complete the last designs I’m working on before heading off-grid beginning September 1st. So grateful to be able to do this work with such amazing clients who honor the sacred process and have all been so wonderfully patient. Remember that although I’m fully booked through August 31st for designs, you can book a design with me for when I return. You’ll be able to continue scheduling design work with me while I’m away for the 3 months by doing that. Just be aware that I will not be available to discuss designs, but you can reserve your spot. I work on a first-come-first-serve basis, based on deposit commissions received and must honor that. As you know I’ve been working away on sacred tattoo designs alongside everything else here…life is full indeed and SO RICH! I’ve shared how much more involved designs have been these days, reflecting a lot of potent shifts and energy being embraced and activated. And I don’t like to rush the process and never force things…it’s all about aligning with that perfect flow that then lights the way with clarity. And between everything, including my having been away a lot on top of the increased time needed with each client, I haven’t had time to post each individual design, as I usually do. So, being that people have continually been asking to see more designs and what is possible to create, I thought I’d compile a little montage of just some of the designs that I’ve been working on for you today. These are not only very powerful pieces, but incredibly and deeply embedded with very meaningful symbolism that I honor so deeply to be able to be part of supporting and bringing to life. The designs are reflections of the souls they are created for and deserve utmost reverence. I’ll share more again near the end of the month when able to. I will not be sharing any information about them, as I haven’t the time to, but I think you’ll see by the images…just how powerful and layered the energies have been and hopefully you’ll enjoy what ever they reflect for you, as while the designs are custom created to each individual’s soul, that always carries a beautiful collective energy that others connect with and are affected by through viewing them. 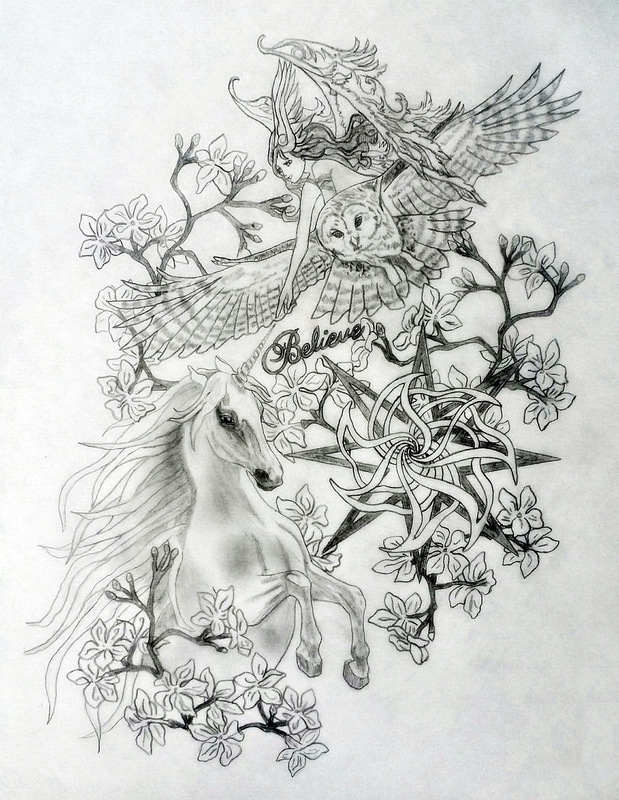 People are always surprised, when they see the designs, by just what can be created and symbolically layered into a tattoo design that will shift your energy when worn and embodied. I thank all of my clients for their patience both with their designs and email messages that I need to address one at a time these days due to their involvement. It’s really wonderful to have such conscious clients that understand the perfection of divine unfolding. Things are moving along, as there seems to be a real opening right now with all of the energy and so I’ve been moving through each of the rest of the designs quite rapidly – doing more a week than I ever have. They will all easily be completed by end of the month before I begin my sabbatical on September 1st. So, if you’re waiting on yours, it’s on the way! 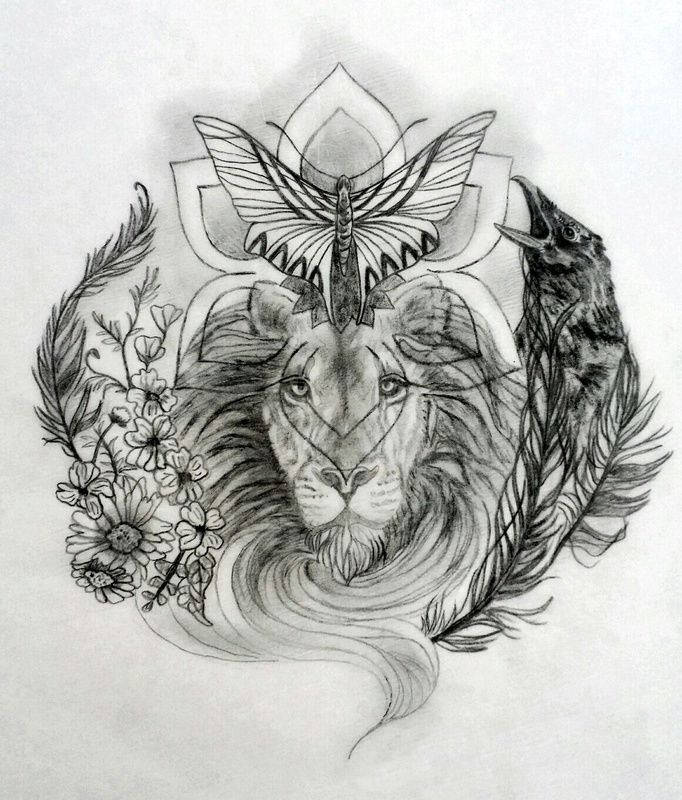 I’m currently still booked through mid-July, but if you’d like to get a sacred tattoo design done before I take my sabbatical, you can still schedule one to be completed by end of August. So there’s still a month and a half open for bookings. Of course my moving doesn’t affect my ability to continue supporting clients with sacred tattoo designs, as I do this work completely by distance via email. I’ll just be taking a 3 month hiatus from creating designs. However, if you really feel you want a design co-created with me that you’ll be wanting to get inked before the end of the year, then you’ll want to schedule something for July or August, as I will be taking three months off of all services offered. This is also the same link where you can currently book a consultation with me by placing a deposit and scheduling for July or August. I’ll get in touch with you on the timing when I receive your deposit. But if you want to wait, just know that I will not be back to creating until December of this year. If by any chance things shift and I need to extend my sabbatical to the beginning of 2016, I’d contact you to let you know. Just be aware that once July and August fills, I will automatically be scheduling out for December and January, to accommodate my personal time off.